Included with entry to the Gardens. Meet at the Guides' desk, Victoria Gate Plaza, 15 minutes before the start time. Maximum of 15 people per tour. Public transport is very convenient and there is limited parking. 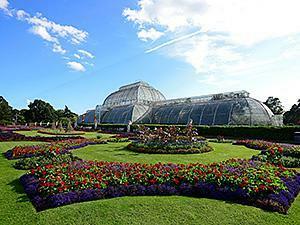 Victoria Gate is on Kew Road (A307) and is a 7 minute walk from Kew Gardens Station.